Giis (Gobal Indian International School, Sector 71) is a Private Co-Educational School located in the Sector 71 neighbourhood of Noida. You can view the exact location or driving directions of the school on the map and school pointer on it. The school was founded in 2002 and currently offers Pre-Nursery, Nursery, Kindergarden, Primary School, Middle School and High School. It is affiliated to CBSE (2132609). 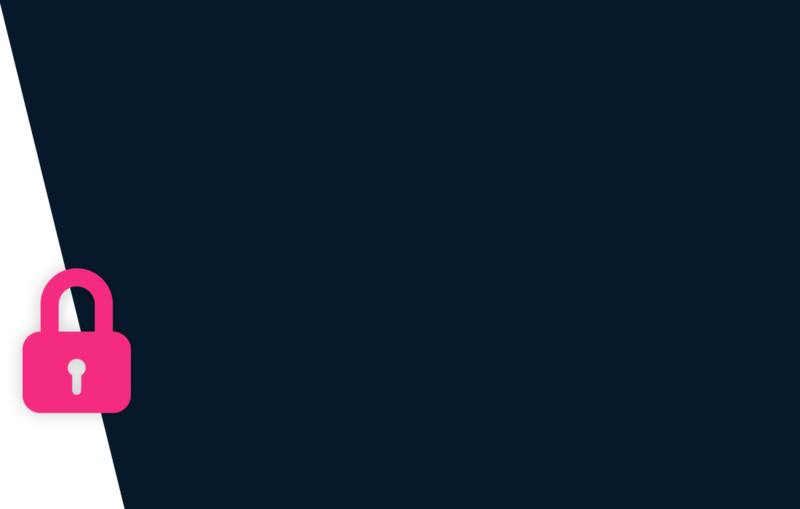 The GIIS chain is an enterprise of Global Schools Foundation (GSF-Singapore) was established with a desire to shape global citizens. Known for its learner-centric and skill-based curriculum, Global Indian International School (GIIS) has 20 campuses across 7 countries, including Singapore, Malaysia, India and Japan. The idea of establishing global schools was a result of a suggestion given by former President of India, Dr APJ Abdul Kalam, requesting Global Schools Foundation to introduce quality education in the remotest part of India. GIIS has been honoured with several international and national awards over a span of 5 years for achieving excellence in school education. The school offers education with the right blend of co curricular activities and also runs the Chandu Gorde Global Cricket academy in Noida. Students of various nationalities across GIIS campuses benefit from knowledge-exchange sessions and e-learning activities conducted on a regular basis. The child needs to be minimum 2 Years as on 31 March 2019 to be eligible for Pre-Nursery admission. School Admission applications can be made Offline at the school and Online on the school website. Originals and copies of the following documents are typically required for processing application of admission: Photo(passport size), Birth Certificate, Previous school Mark-sheets, Valid passport for international students and Medical reports. New academic session for the school starts from April. You can find further details below for reference on admission eligibility and application for Pre-Nursery and Higher Grades in the section below, but we strongly recommend that you check the school website for most accurate and up-to-date information. 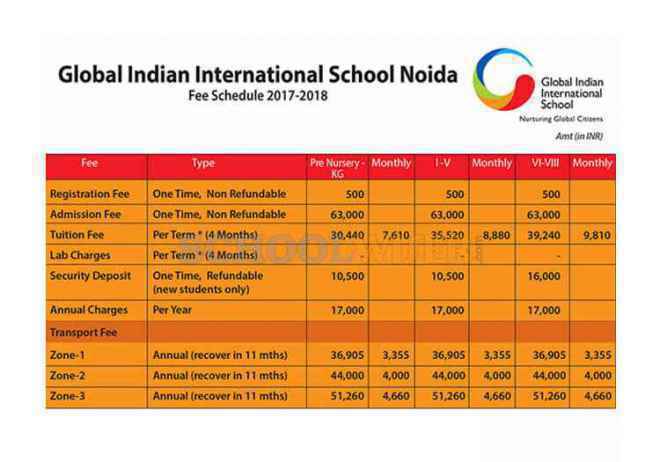 A detailed fee structure & complete breakup for GIIS (Gobal Indian International School, Sector 71) is provided below for reference. The objective of the fees details below is to provide an economic reference point for parents to understand approximate expense for this school and evaluate affordability based on their current circumstances and for the long term. For parents admitting their children in admission session 2017-2018 at The school the total school fees for the first year including all admission related charges for Pre-Nursery but excluding transport fees shall be around Rs.1,82,320. This includes total One-Time Admission related Charges including Refundable Security of Rs.74,000. For parents continuing in the school from previous years, the effective annual fees is around Rs.1,08,320 i.e. approx. Rs.9,026 per month or Rs.27,080 per quarter without transport fees.